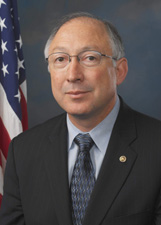 (brother of John Salazar), a Senator from Colorado; born in Alamosa, Colorado, March 2, 1955; B.A., political science, Colorado College, Colorado Springs, Colo., 1977; J.D., University of Michigan Law School, Ann Arbor, Mich., 1981; practiced law in Denver, Colo., 1981-1986, 1994-1998; chief legal counsel, Governor Roy Romer of Colorado, 1986-1990; executive director, Colorado Department of Natural Resources 1990-1994; Colorado State attorney general 1999-2005; elected as a Democrat to the U.S. Senate in 2004, and served from January 3, 2005, until his resignation on January 20, 2009, to accept a Cabinet position; Secretary of the Interior in the Cabinet of President Barack Obama, 2009-. Mayo Clinic Mayo Clinic is the first and largest integrated, not-for-profit group practice in the world. Colorado College A private, four-year, co-educational, liberal arts and sciences college in Colorado Springs.